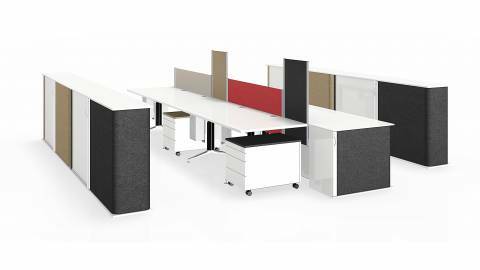 office furniture, conference tables with media integration and acoustic sound absorbing decoration. 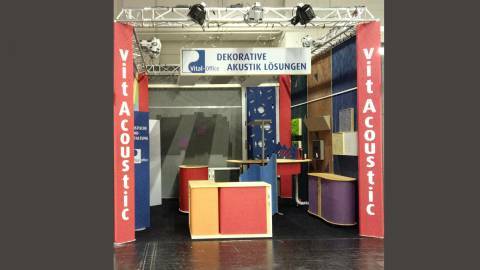 Vitacoustics - acoustics sound absorbing products and solutions using modern materials like acoustic PET felt and micro perforated foils like Microsorber. Conference - Quality made boardroom furniture, including a wide range of conference & boardroom tables, including integrated plug-boxes and media technique. 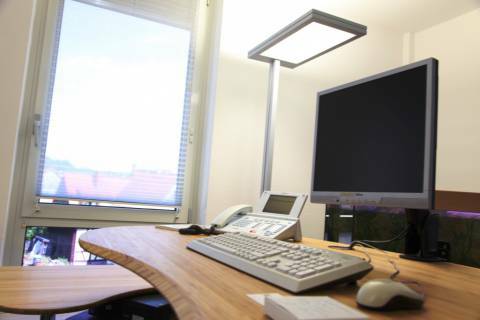 Circon|executive - Executive Desks. Director Level Design Furniture. Designed as tool for the Modern Management Team. 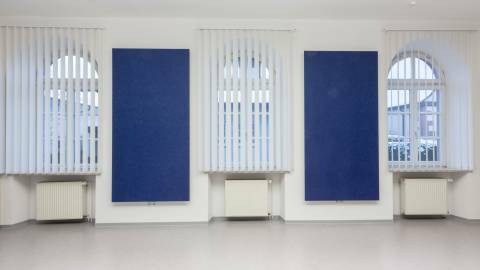 Acoustics "beautiful" design with small and large-scale high-absorbing acoustic absorbers in 19 standard colors. 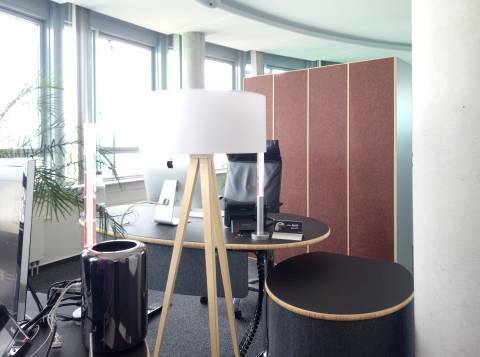 This makes acoustic absorbers a design element - without it costing more. 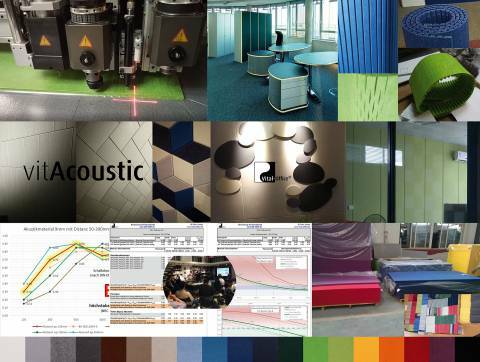 You design with original colored vitAcoustic sound-absorbing felt panels. 100% pollutant-free, as the fibers are already manufactured in the colors. It is NOT painted and not soaked in color. 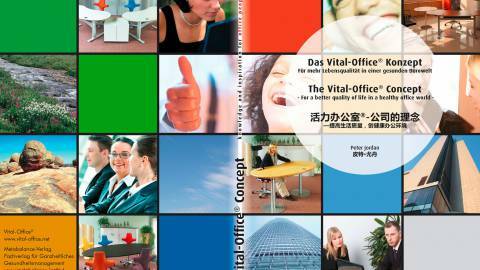 vitAcoustic is Oekotex 100, emission class E0, fire class B1 and environmentally friendly recyclable. For this purpose, light yet highly absorbent in class B according to DIN EN ISO 11654. With these absorber elements, the vitAcoustic panels are notched onto an inwardly offset frame. The thickness of the frame determines the cavity to the reverberant surface and thus the frequency-dependent absorption according to data sheet tables. You can choose between 50, 100 and 150mm frame thickness to set the absorption levels for lower and higher tones according to your needs. The frames are made of light balsa wood, so that these wall absorbers are very light despite their size about 10-15kg. The frames, as with the 3d frames, have a groove inside which fits into the Exzender wall hooks so that the frames can be safely and yet easily inserted and removed. 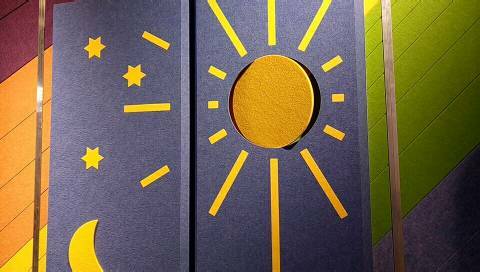 Ordering information: If you want a size other than the standard dimensions, select the size in which fits your desired measure and enter in the box below the desired size. This item will NOT charge extra for special sizes. An echo makes the use of the festival hall of the youth welfare Waldhaus / Waldhausschule in Malsch almost impossible. The echo, or the sound reflections were so high that one could understand nothing more. How should one get together and make music here? It was impossible! But there is some help coming: the EnBW #MacherBus not only financially supports Waldhaus Jugendhilfe with the acquisition of new sound-absorbing elements, but the EnBW makers also undertake the attachment of the elements. With the new room acoustics measure the children of the Waldhausschule can use the hall again in peace and quiet. 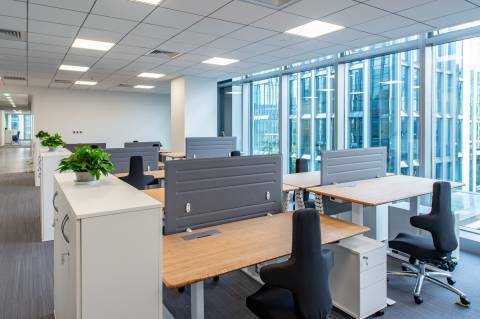 Vital-Office also supported this project, supplied the vitAcoustic Frames for optimum sound absorption and led the assembly. 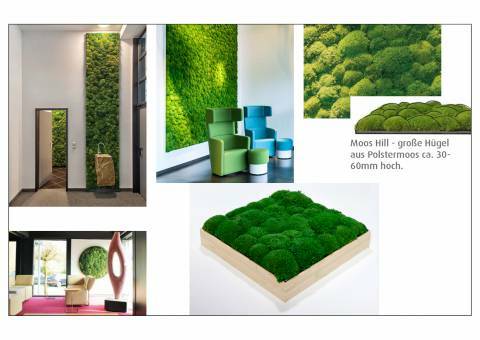 Due to the special method of conservation of Island Moss and Hill (Upholstery Moss), the natural materials retain their fresh green, and the moss images and walls do not require artificial light or care or fertilization. VitAcoustic absorber are used as carrier material, which are highly sound absorbing, flame retardant (B1), insensitive to moisture and pliable for use in the 3d frame. We also realize more complex customer requests, such as the dressing of pillars and special design objects according to architect design. The evergreen elements have a particularly impressive effect when different types of moss and coloured vitAcoustic absorber are combined. In view of our manual and filigree production, we are literally a manufactory. Our Moss products are made entirely in Germany. Our Moss is certified to import to China! 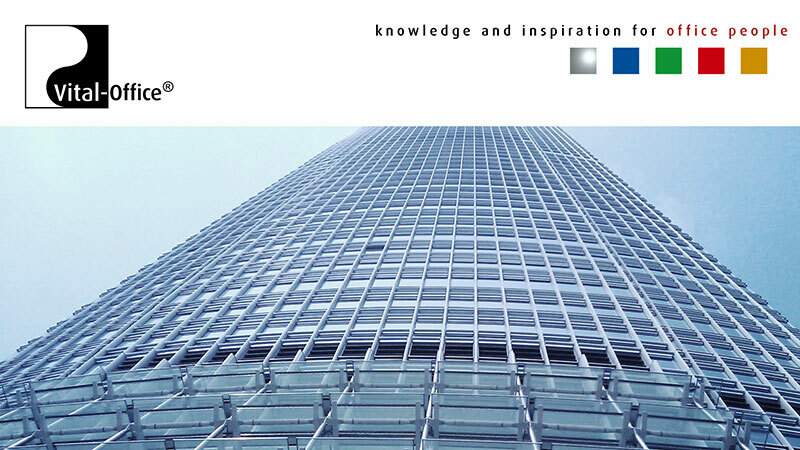 In order for a room acoustic measure to be calculated and assessed realistically, well-founded acoustic physical basic knowledge and practical experience is appropriate. In particular, the initial values of reality must be determined accordingly. For sensitive areas, the measurement should be carried out professionally by an acoustic expert. Alternatively, at least a provisional measurement should be performed with a phone app repeatedly. The provisional measurement serves only as a guideline for the selection of the room materials and their absorption coefficients in the acoustic calculator. Basically, any calculation without professional measurements of the initial situation is hypothetical! Low frequencies are absorbed differently than high frequencies. Glass surfaces (Windows) or a normal office cabinet made of chipboard in different thicknesses, when you hit the resonance of the deep tones, can act for the low frequencies absorbing. However, a correct calculation is hardly possible due to the lack of measured data of the objects. On the basis of a measurement, special depth absorbers (vibrating resonators) need to be specifically set. The calculations are based on measured data from objects and materials. Some of these are listed in the DIN 18041 exemplary. Others are taken from various sources for their correctness and conformity with the actual existing object or material there is no guarantee. Area is important-small elements, for example, are simply overlooked by lower frequencies due to the long wavelength. Even with a-class absorbers, an adequately large absorbing surface is required in relation to the size of the room. In communication rooms, absorbers on the ceiling are sparingly and consciously dealt with. Here is more of a reflection desired! 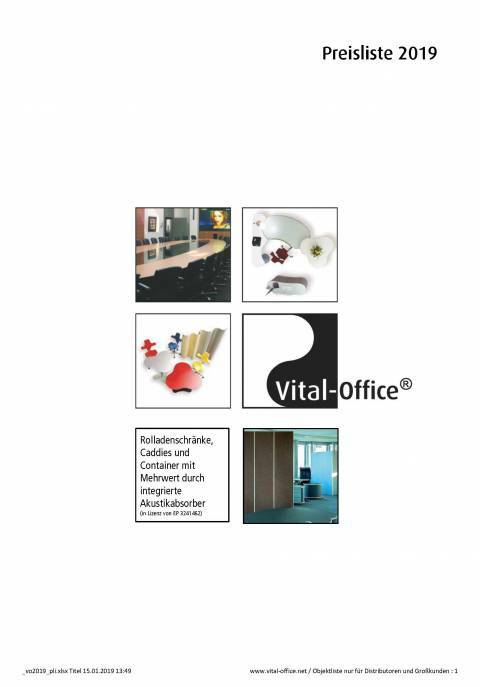 Vital-Office therefore recommends the use of flexible acoustically effective products. Acoustic products that are divisible and easy to install and can be easily removed if necessary. 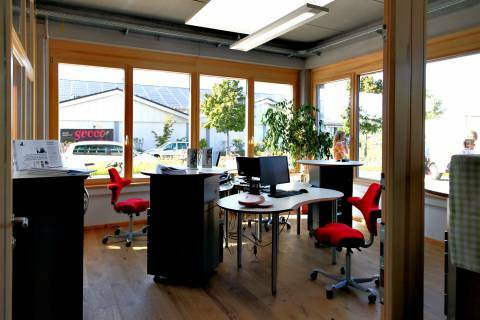 This makes the investment in acoustically effective products more sustainable, more economical and more effective. For example, the VitAcoustic 3d frames. The VitAcoustic 3d frames have additional positive acoustic properties (among others on the lower frequencies) through the nested bamboo solid wood frames. P.S. 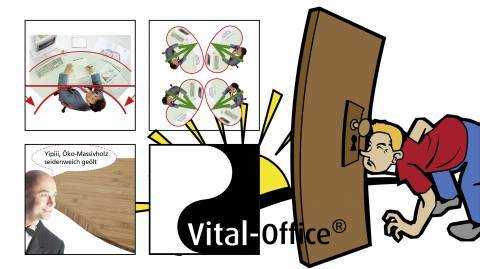 in the table "VO01" of the acoustic calculator, example values for a conference room and in VO02 for a club room are entered according to the adjacent 360 degree panorama picture. Extension and addition of the material and object database, in particular measured values of standard furnishings or entire exemplary facilities by room size. 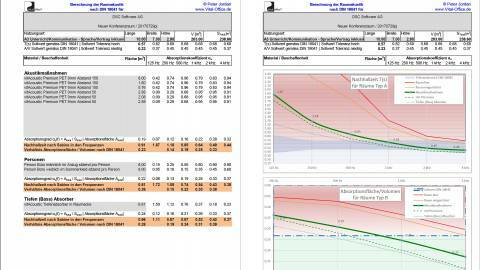 Extension by further calculation formulas (currently only Sabine was chosen) and their comparative comparison.